Kelly is famous (infamous?) for thinking that his system is what makes him successful and players don't really matter. Interchangeable parts. During his time at Oregon, it was pretty well-known that he personally didn't spend much time recruiting. Even from that 2010-12 period where the program was really humming, it wasn't like he was pulling top 3 or top 5 classes nationally. From 2010-12, he didn't even have a class that was #1 in the Pac-12. Now these were not "bad" classes by any stretch, but not elite either. They were just "pretty good," and honestly kind of underwhelming for a team with a string of top 5 finishes. Having said that, he recruited much better at Oregon than he's recruiting now at UCLA, so I'm not sure what's going on. It kinda feels like this is a retirement job for him. I could easily be wrong, but nothing I have seen with him has said he is that invested. Too bad Florida didn't hire this guy. Never been a program BUILDER. Failed at it in the NFL and this is his trend. He wouldn't have had to exactly rebuild Florida though. As @butchna said what he really seems to struggle at are rebuilding jobs - hell, he didn't really have to rebuild Philly either and he struggled there after some early success. If he failed at Florida, it'd be because he clashed with the admin. He came to a troubled program; I don't expect things to take off the first year. I didn't worry about him having a bad season but this recruiting class is a red flag. (I didn't expect Pruitt to have a great year. I wasnt disappointed in our session until Missouri hung 50 on us.) Hopefully he can still turn things around. We'll see. We got a lot of points hung on us. Sucked. Our defense couldn't get pressure on the qb. But, keep in mind the qb talent we played against. Grier, Locke, Fromm, Tua, Bently and even Vandy's qb Shurmur. I suspect MO and Vandy won't have near the talent at qb as they did 2018. Bama, GA and USCe will still be toughest we face next year. If defense can step up the pressure, should be a better year in 2019. I really am shocked he is doing so poorly at USC. No excuse for it. Tons of talent in Southern California. He is destined to be a NFL OC. Hard to believe he hasn't won 1 single game at USC. You'd think as bad as Clay Helton is struggling to put together a staff for UCLA, that Kelly could at least beat them. There's 30 of those just in the South Bay in LA. My position on Kelly is unchanged. He was a gimmick guy that worked for a few seasons at Oregon. But Nike money fueled getting SoCal kids to go up there and play. Kelly was smart to get out of town while everyone thought he was a genius. Go back and read some of the articles about how avante garde his 1st season Eagles practices were. I laughed reading about him and how they deteriorated and he was gone. The idea he would have come to The Hill would have been catastrophic IMO. The gimmick as they always do, got figured out, and all the kings horses and old Mother Hubbard's kids could not make Chip Kelly a winner again. I didn't want Kelly, but was OK with a Pirate experiment after the garbage we had been through. However I was delighted in hiring Pruitt and the ONLY concern I had about him was his temper. I believe he has a plan and knows what to do to get Tennessee back to relevance. Apparently some Vol fans wanted to hire football coaches to coach the basketball team. 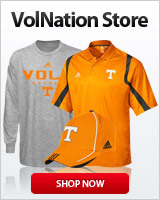 Sadly not even close to the most absurd thing I’ve seen on volnation.